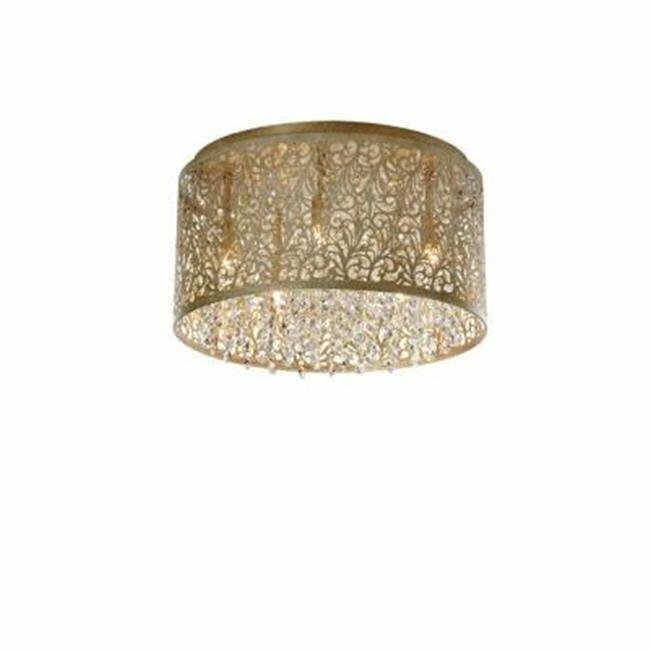 The Siley 5 Light 1 Palladium Gold Flush Mount is the perfect fixture to enhance the beauty of your Hallway. Featuring a Gold/Silver Leaf finish for years of carefree beauty. Add a Transitional touch to your decor that will leave friends and family in awe. Radionic Hi-Tech has enjoyed many years of success and continued growth. We are well respected in both the electronic and electrical industries. This success is due to oursupport, we are well known for our design capabilities and quick response in providing our clientele with product that they require in a timely manner, including the necessary safety approvals. We have continued to meet the unique by providing only the highest quality products.